Made to measure for a perfect fit & comfort during performance! Please 'click ' photo's to view full detail in Super Size!! 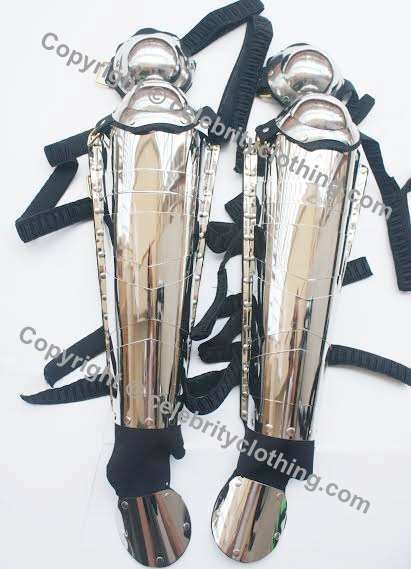 This is the Ultimate must have for any serious impersonators / fans wardrobe, comes in super shiny lightweight metal with strong leather fully adjustable leather strapping to ensure a comfortable fit while dancing / performance. History Armour is professionally produced with the professional impersonator / tribute artist in mind! Insist on the best!